Pride of ownership can be seen as you walk through this updated home. 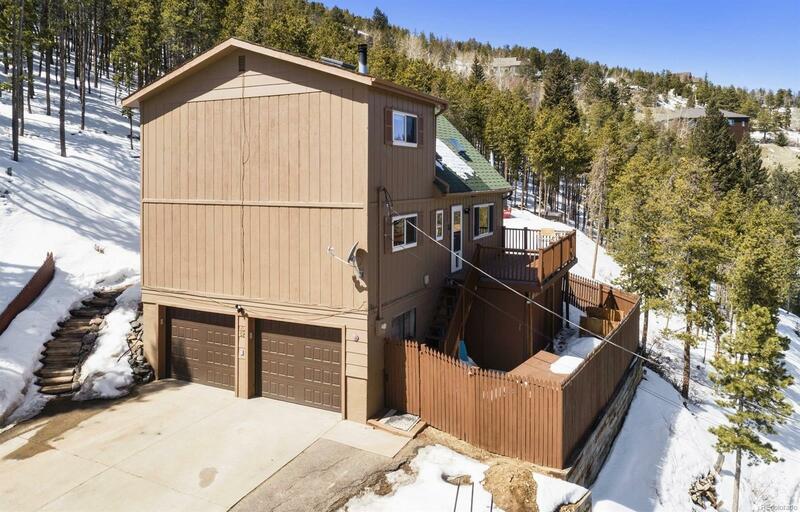 Most everything has been updated or remodeled inside and out; the penthouse-styled master suite with tastefully selected finishes starting with reclaimed wood barn doors, slab granite vanity top with vessel sink, new tile shower surround and a large walk-in closet. Adjoined by an open loft office or sitting room and separated by a convenient laundry room. Vaulted great room is warmed by wood and pellet stoves, while cascading slate and knotty wood floors glimmer from the sky lights above. Oversized tile flooring in the dining and kitchen display the newer stainless appliances. The second and third bedrooms are just down the hall next to the updated full bath. The lowest level has a nice mud room with plenty of storage and access to the two car garage. Enjoy the backyard stone patio with great views of widespread mountain vistas from the upper deck. A fenced area and RV parking is always a bonus when needed.